Have you ever tripped a circuit breaker in your RV when you turned on an appliance? Often that's because you've turned on one too many electrical products and exceeded the limit of campground power supplied to your RV. The Coleman Mach 3 Power Saver 48208C969 helps you avoid that frustration. 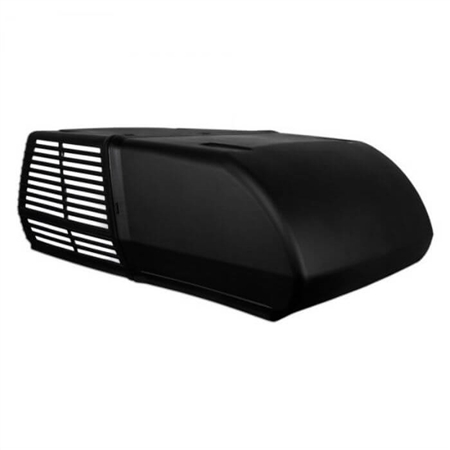 It's an air conditioner designed to use less power without sacrificing cooling performance. To get more cooling with less power a high-efficiency compressor, a high-efficiency fan motor and over-sized coils were matched to maximize cooling and minimize amp draw. So you can squeeze maximum comfort out of your air conditioner, while your other appliances can absorb more of the available power.